Call us at (845) 485-4488 today. For more information or to schedule an appointment with our Poughkeepsie chiropractor, call (845) 485-4488 today! Dr. Kurt Kish is a chiropractor serving Poughkeepsie and the surrounding area. 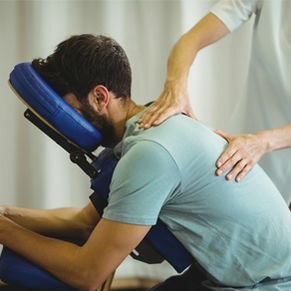 Our chiropractor and the rest of the welcoming team at Kish Chiropractic & Wellness Center are committed to providing chiropractic solutions to address your unique needs, whether you are experiencing back pain, neck pain, headaches, or even muscular tightness and tension. You may be searching for pain relief after an accident, experiencing an injury, or if you suffer from a specific condition like chronic back pain or a spinal condition. Even if you're looking to improve your overall health, our chiropractor can help you attain your everyday wellness goals! Visit our testimonials page to find out what our patients are saying about our Poughkeepsie chiropractor and our chiropractic care plans. At your first visit to Kish Chiropractic & Wellness Center, Dr. Kurt Kish will explain how chiropractic care works and give you a full evaluation to see if our chiropractic solutions are a good fit to address your needs. If there is a good fit, we can customize a plan of chiropractic care for your condition and health goals. If you have not been to a chiropractor before and want to find out more, please email us or call (845) 485-4488 to receive the answers to your questions from our experienced team. We also welcome referrals, so we invite you to share our chiropractic and wellness information with your friends and loved ones. Dr. Kurt C. Kish has been in practice in the Dutchess County for more than 30 years. A graduate of Mount St. Mary college in Newburgh with a bachelors degree in biology, he holds a doctorate in chiropractic science from the Palmer College of Chiropractic Medicine. He is rated with advanced proficiency in Activator Methods adjusting technique. "I first saw Dr. Kish because of headache pain that was so intense I could not drive my car. With his help, my headaches were relieved quickly, and I am able to function again. I now get adjusted monthly to try to prevent any problems from coming back." "I suffered with low back pain for years, which prevented me from bending, walking properly, sitting or standing for long periods. It even made me moody, irritable and offending towards others. With Dr. Kish’s help, I am now pain free and able to take long walks and do household chores." 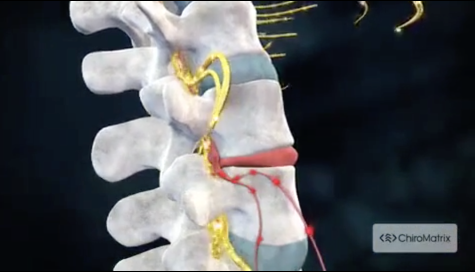 "I started coming to see Dr. Kish for a backache I had for many months prior to treatment. My son-in-law referred me to him. I feel the office is wonderful! Dr. Kish is very patient, caring and listens to you. The hip pain I had made it painful to carry my grandchild and at times made me short tempered. Since coming to Dr. Kish I come in with some pain, and leave feeling much, much better. I feel Dr. Kish is a miracle worker! I am in disbelief. I think the activator treatment I receive is effective and helpful, more than I thought possible. I would recommend Dr. Kish to everyone. He is a true miracle worker!"